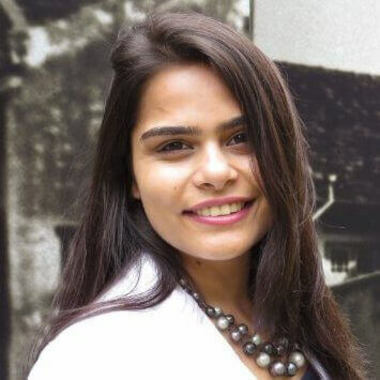 Kanchi Dheer, Spotify’s Social Marketing Lead for Asia, leads the brand's social media presence within the region. As part of her remit, Kanchi is responsible of the setting the creative direction, tone of voice and determining KPIs within the social marketing sphere for the region. Kanchi also works closely with the sales and business development teams at Spotify to come up with country and channel specific social marketing strategies. Prior to joining Spotify, Kanchi worked at Marina Bay Sands as their Digital Marketing Manager, while at e-Bay Enterprise her focus was on eCommerce clients. Kanchi is a Master's holder in Integrated Marketing Communications from Northwestern University. In this presentation Kanchi will be exploring answers to a few questions: What does social mean in today's time and age? How do brands stand out from the competition and what makes it a good social media strategy? How do you as a brand curate the right information for your social media platforms? The importance of understanding your target audience and targeting them at specific moments. Why moments are important in any form of marketing; what should you be looking at while working on your strategy? She also will share examples where social media activities coordinated by Spotify has been seen as a success and what should brands take away from today's session?